It’s hard to believe that about three and half years ago, I spent a chilly Friday night in December at home in bed writing this post, So I Moved To Berlin. Just How Did I Make Friends? Little did I know, that the post would become one of the blog’s most popular ones, or that it would lead me to starting a meetup group with my buddy Adam from Travels of Adam. While our meetup’s now closed, our Make Friends in Berlin meetup group grew to more than 7,500 members. We started the group to help people connect with other Berliners, be it expats or locals, in a casual, friendly, and most of all, fun setting. It was great watching people from the meetup form new friendships and get settled more into their Berlin life. Now that our group’s closed down, we thought this would be a good chance to not only expand the expat life content here on the blog but spread some big old love to the other groups in Berlin who have the same mission as we did (and still have). 1) Around Berlin in 80 Restaurants – The perfect meetup for foodies, this group of 3000+ people come together for dinner together at various restaurants around the city, take picnics in the park, attend food festivals, go on market excursions, and more. 2) Berlin Craft Beer Lovers Meetup – For those who appreciate a good craft beer, meet fellow beer lovers who love to hang out to sample new beers and support local breweries. 3) Berlin Expats – With more than 9,000 people in the group, Berlin Expats welcomes new expats and despite their name, friendly locals. They’re unique in the sense they offer curated events that don’t always take place in the same bar or restaurant. Looking through their event history, comedy clubs and burlesque dance parties seem to be the norm. Soon they’re meeting up for a chilled session along the Landwehr Canal in Kreuzberg. They also have a Facebook group with more than 34,000 members. 4) Berlin: Girl Gone International – Sorry, boys. This Berlin meetup group is for the girls only. With more than 100 chapters around the world, there’s 2,100+ lovely ladies in the Berlin group. They host brunches, bike rides, picnics, and even a book club. You can also find them on Facebook where the community is more than 10,000 strong. 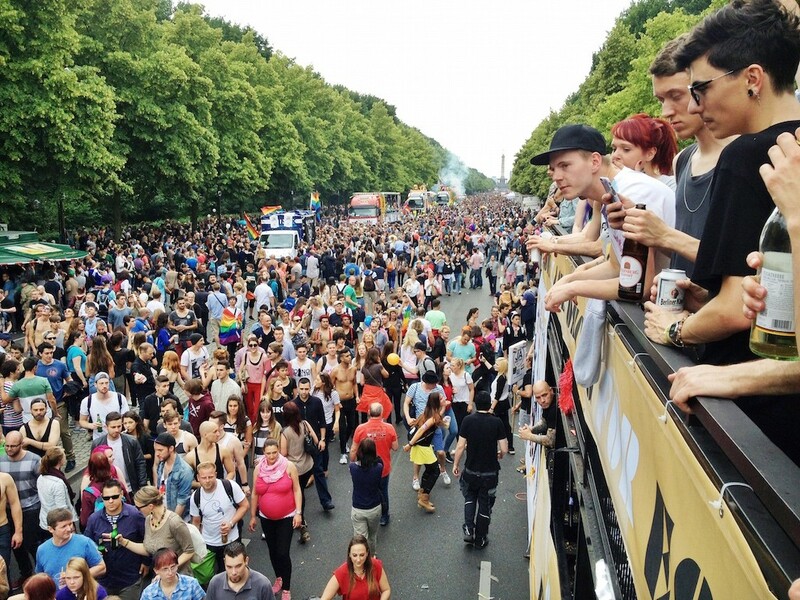 5) Berlin LGBT Social Club – This LGBT friendly with more than 2,000 members group helps connect you to locals for the express purpose of socializing and having fun. Pro tip – read these reviews about gay dating apps that you can use to meet even more people in Berlin. 6) Berlin Singles Meetup – If you’re like me and are super tired of Tinder, this group might be for you. Meet other singles (there’s just over 1,500 in the group) for drinks and see if there’s a chance for romance. 7) Culti Meetup Berlin: New in Town, Language & Social – This group promises casual and friendly events and offers a wide assortment of them, including German language exchanges, pub quizzes, karaoke, rock climbing, and more. Join 11,000+ others to start expanding your social circle and having fun in Berlin. 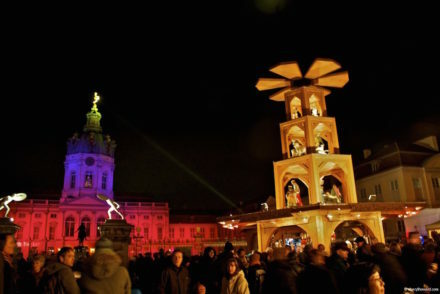 8) Discovering Berlin Together – Experience Berlin nightlife by joining more than 3,700 fellow Berliners for drinks at different bars around the city, swing dancing by the Spree, or even attend a concert together. 9) International Activities Berlin – This group focuses on the the bar scene and hosts frequent events in different bars around Berlin. They’re massive with more than 13,000 people, but most events seem to attract crowds of 30-40 people, making it easy to meet new people in Berlin in a more intimate and quiet setting. 10) International Cocktail Party – If you like drinking cocktails, join close to 8,000 other Berliners who converge together at the same bar each week to get hang out and drink cocktails. 11) International and Social Events Berlin – These guys host a recurring meetup called “That Famous Boat party” each Wednesday at a hostel in a boat anchored in the Spree. 12) International Salsa Meetup – Looking for a hot night out dancing the night away to salsa, bachata, or merengue? Then join this very active and tight knit community who meet for even more than dancing – they go out for dinner together, take swimming lessons, and more. 13) Internationals in Berlin – A big hitter among the Berlin meetup groups for meeting new people is Internationals in Berlin, with close to 10,000 people in the group. Like many others, they do all sorts of things like go to comedy shows, meditation classes, and wine tastings. 14) New Berliners Meetup – With close to 4,000 members, this group keeps it simple and hosts a recurring event at a bar in Prenzlauer Berg. They too attract smaller crowds of 20-50 people. 15) New In Berlin Meetup and Networking – Run by the folks over at Hobtime, there’s 10,000 or so people in this Berlin meetup group. More recent events seem to be comedy focused, so if that’s your thing, join them for some standup fun. 16) Saturday Afternoon Coffee and Talk – This weekly meetup gives you the chance to meet locals each Saturday and bond over your mutual love of coffee. Join more than 8,000 others to interact with locals and expats in a chilled locale. Check out some of the very best things to do when you’re living in Berlin. 2) For even more Berlin related content, take a look at my Berlin guide or my list of things to do in Berlin. Need a place to stay when you’re visiting Berlin? Check out hotels on booking.com. If you like this post, share it on Pinterest. Founder of cherylhoward.com. Canadian expat in Berlin. Frequent traveller. Instagram Postcards Of Berlin – Apr and May 2012 Edition.